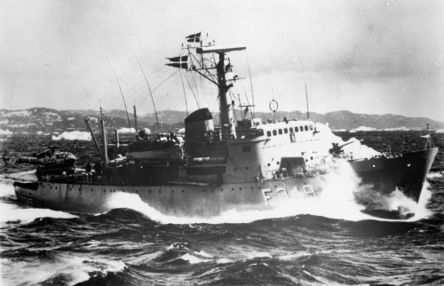 The Offshore Patrol Frigate VÆDDEREN. The first Danish ships constructed to permanent housing a helicopter. The Offshore Patrol Frigate HVIDBJØRNEN is here seen with its LYNX helicopter, and after refitting 1986/87 where the large radar dome was installed. 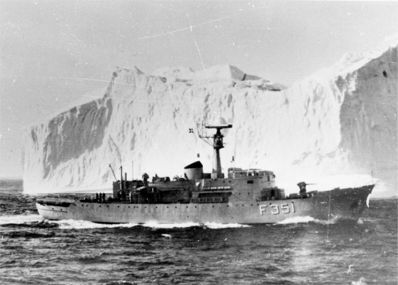 The Offshore Patrol Frigate FYLLA is here seen off Greenland.